The 2014 Championships have officially begun following the Parade through the streets of Bormio and Darcie Mead lighting the flame to signify the beginning of an exciting week to come. It was great to see all the teams getting involved before the first day of competitions tomorrow. SSE and the orgaisers really appreciate the support that is given from all the locals here in Bormio and a special thank you to the Band of Bormio for coming along. There are mixed predictions for the weather, so let’s see what the week ahead brings! The English Alpine Championships races started in Bormio, Italy today. Click on FULL POST for Day 2 video. 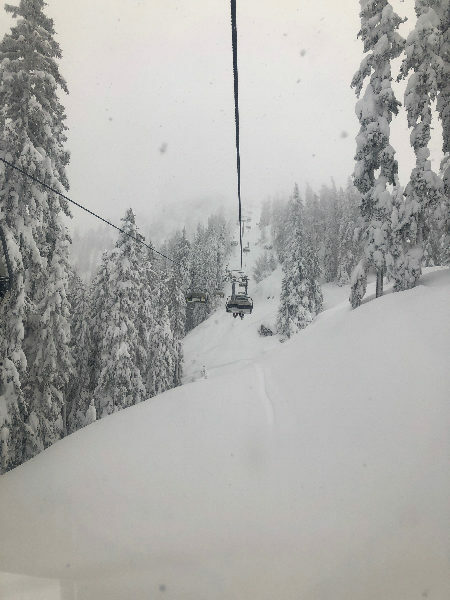 The Snow conditions were “SOFT” and the temperature just about 0. 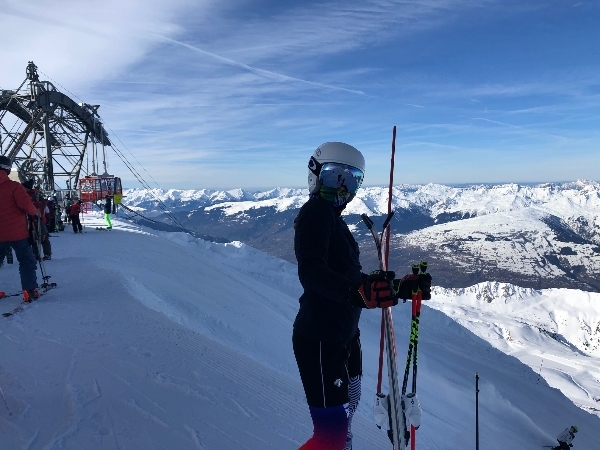 The courses for the ladies FIS National Junior Race were set by Jo Ryding, brother of David who puts his skills to test very shortly in the Sochi Olympics. 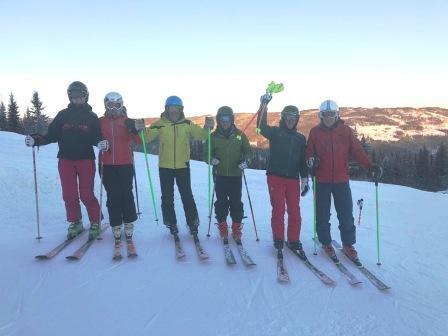 The other course was set by Paul Telling, a great supporter of the ERSA region and skiing in general. The men’s setters were Richard Breese and Hemel member Marc Telling. The forerunner for both events was Hemel member John Norris. Two tough events saw a number of “blowouts” in Run 1 and Run 2. Hemel had a number of members competing. In the ladies event, unfortunately our two girl entrants, Amber Buckland and Marie Curtis DNF Run 1. In the men’s event we fared much better with Max BAGGIO finishing 11th overall and 3rd Brit. Kieran NORRIS, who got some tips from his dad was 17th. Luke RIDDELL skiing for IRE was 20th. Roberts Trebilcock and Poth DNF Run 1. Oliver Krahelski and Oliver Deighton after having decent 1st runs DNF Run 2. 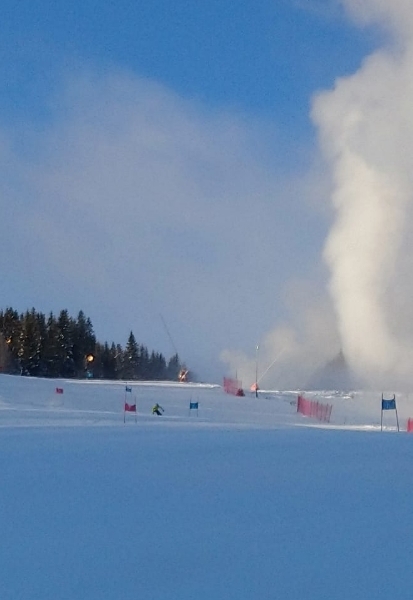 Taking place today were also an unusual pair of Super G races, these are normally single events but to give more value and basically a practice before the championship race the organisers had arranged to run two separate Super G events. These events took place on the famous world cup Stelvio course. 29 gates with 27 turns. The girl’s event was first with Hemel members performing very well. Yasmin COOPER was just piped into 4th place. Alicja KRAHELSKI finished in 12th position. Phoebe LONG was 14th, very quickly followed by Meghan DAVIS in 15th. Sarah WOODWARD was 17th and Shanna DANENBERGSONS was 25th. New member Nicole HUGEC was 31st and Caterina MAGENES was 34th. Madeline BURNS finished 36th. One of the favourites to take the win, Anna Henderson DNF as did Charlotte Tapsell. In the boys race 1 Toby DEIGHTON was placed 9th with Dan BARTON finishing less than 1 second behind but placed 6 places below at 15th. Harry DEIGHTON was 19th, again very close behind his brother although 10 positions later. Edward LODER and Dexter LEE finished 38th and 39th respectively with Morgan DAVIS finishing 47th. Patrick CALDWELL who has only just joined Hemel in the last few weeks finished 55th. Other members were Judson RABEY 62nd, Charlie LEACH 64th and Charlie HUMPHRIES 67th. 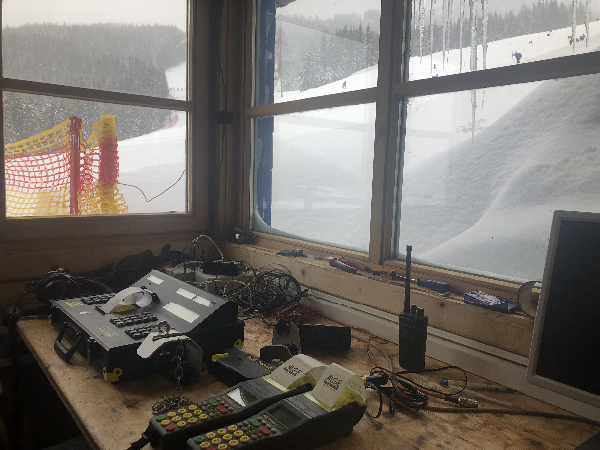 The Championship Super G race took place on the same piste so after the practice the main event, the difference being that the light rain in the first race had turned to heavy rain making the course very heavy going. The girl again raced first with Anna HENDERSON finishing 2nd and 0.30 seconds behind was Yasmin COOPER in 5th. 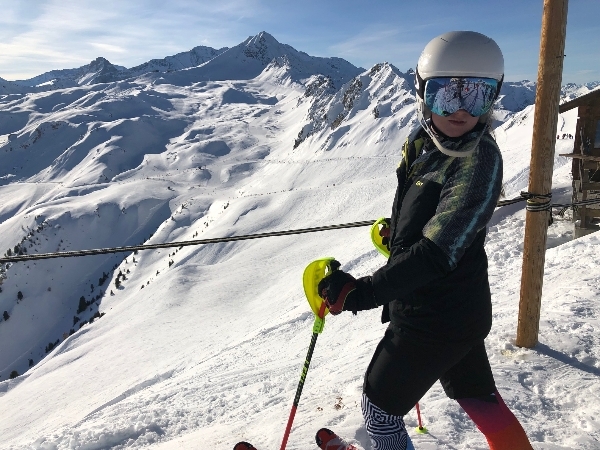 Four Hemel members Alicja KRAHELSKI, Phobe LONG, Sarah WOODWARD and Meghan DAVIS finished 12th, 13th, 14th and 15th, all separated by less than 1 second. Nicole HUGEC and Shanna DANENBERGSONS improved their positions from race 1 and finished in 21st and 24th position. Caterina MAGENES was placed 33rd and Madeline BURNS 36th. Charlotte TAPSELL finished 49th after having not completed race 1. In the boys event the highest place member was Harry DEIGHTON in 9th. Dan BARTON was placed slightly below his position from race 1 and finished in 18th place although his time was 0.01 different from the first time. Edward LODER was 31st and Morgan DAVIES was 40th. Patrick CALDWELL was 50th and Judson RABEY 55th. Charlie HUMPHREYS finished in 66th, place two consistent runs. Dexter Lee and Charlie Leach DNF. 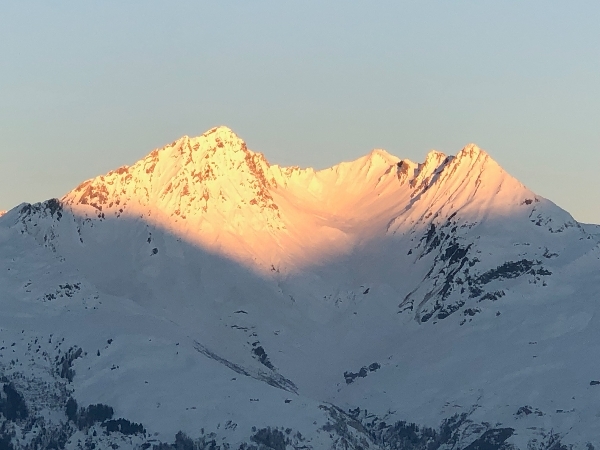 Overnight Bormio had about 20 cms of snow which caused a few issues running this morning races. 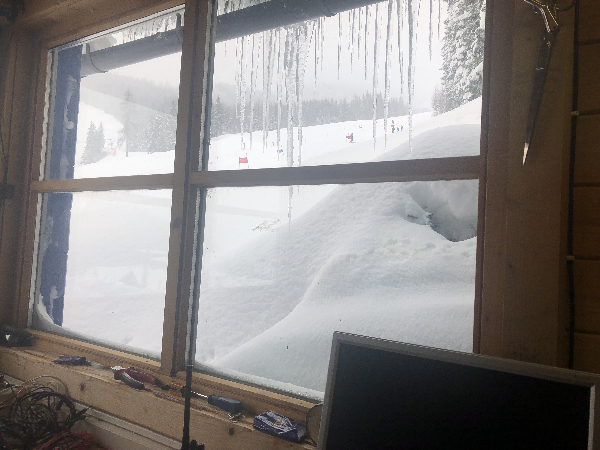 Unfortunately the Men’s FIS NJR Giant Slalom race was postponed due to the conditions on the piste; it has been re-scheduled for tomorrow on Stelvio. However the Ladies FIS NJR Giant Slalom was run with 41 competitors completing the course successfully. Hemel Member, Marc Telling set both courses and once again John Norris acted as forerunner. 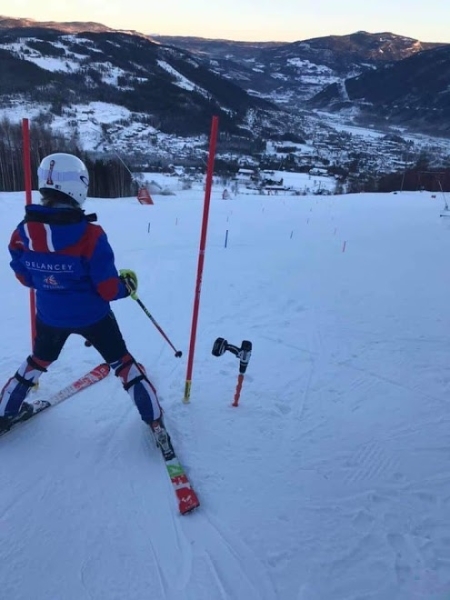 Hemel had two members competing in their first year of FIS racing. Both girls Amber BUCKLAND and Marie Curtis had decent first runs. Amber finished eventually in 36th position but unfortunately Marie DNF Run 2. In the afternoon the U10 & U12 Combi, was completed with 88 competitors. The course included berms (banked turn), GS and slalom, around stubbies, through the rollers in the park, down the final pitch and onto the jump, through the finish. This proved to be a very popular fun event, at one time the sun actually shone. The event consisted of 2 runs with the best time to count to find the overall winners. Hemel had no youngsters in the U10 category but in the U12 Sophie FOSTER was placed 1st equal. One of our newer members Nadine HUGEC came in at 6th very closely followed by Eleanor SCRANGE HARRISON at 10th and Matilde MAGENES at 12th. In the U12 boys Toby CASE finished in 11th, Hugo WARNER 30th chased by Angus LODER, Dominic BARTON and Charlie NEWTON in 31st, 32nd, and 33rd positions respectively. Max FAIRFUL was 38th. 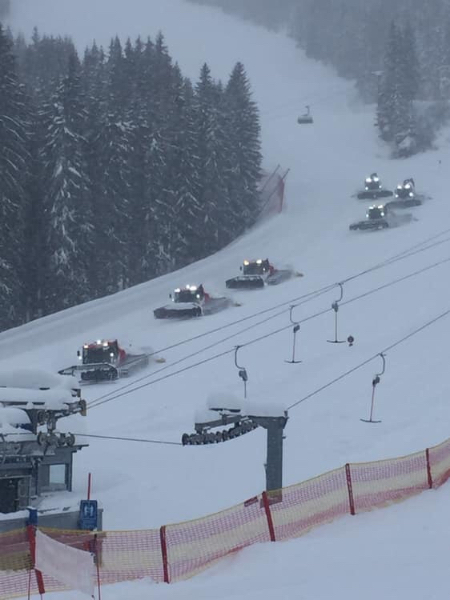 The Men’s NJR Giant Slalom, cancelled from yesterday, took place today on the Stelvio piste. The sun was shining, conditions were good. The Run 1 course (36/32 gates) was set by a Chilean coach and the Run 2 course (28/36 gates) was set by our own Marc Telling. Max BAGGIO continued to impress and was ranked 14th overall but finished 2nd Brit. Our next highest Hemel member, Robert POTH finished in 27th place, pretty good considering a start of Bib 60. Oliver DEIGHTON finished 58th but once again with a start number of Bib 98 this was well done. The three other athletes competing, Oliver Krahelski, Will Wheeler and Kieran Norris DNF. Taking place today was also the U16/14 Giant Slalom. The U14 are run as two separate races combined to get the overall winners. The U16 is run as two run race with both to count for awards. Hemel Members had some very good results in both the Under 14 and the Under 16 event. The Under 14’s were first. Shanna DANENBERGSONS was placed a really credible 2nd place with Alicja KRAHELSKI finishing less than 0.75 seconds behind in 3rd place. Hemel members then took the next 7 positions all but 2, Sarah WOODWARD in 5th, Meghan DAVIES in 6th, Caterina MAGENES in 7th, Nicole SHEERING in 8th and Nicole HUGEC in 10th place. Well done girls. Then we had a short gap with Madeline BURNS finishing in 12th position, Charlotte TAPSELL was 20th. In the U16 competition Hemel members continued to impress taking 2 podium places, Yasmin COOPER took top spot finishing 1st.Anna HENDERSON was 3rd. Eleanor TREW finished in 14th position with new member Hannah COLE 23rd.Unfortuantly Issy Trew and Phoebe Long DNF. The Boys U14 event was then run down the same course as the girls U14 run. Again 2 runs combined to find the overall award winners. Harry DEIGHTON had 2 good runs and finished 6th in a tough field, Dexter LEE was 13th. Charlie LEACH finished in 17th place, very quickly followed by new member Patrick CALDWELL in 19th place just 0.5 of a second behind Charlie. William NEWTON was 22nd and Charlie HUMPHREYS 29th. Richrd Trew DNF Run 1 so was not placed overall. The U16 boys then took to the piste, both runs to count. Daniel BARTON had 2 good runs and finished in 7th position. Toby DEIGHTON was 18th.Edward LODER finished 9 places behind in 27th. Joshua Penning Lambert after having a good frst run DNF Run 2. The FIS NJR Slalom took place today in Bormio on the STELLA ALPINA piste. The courses were set by a Bulgarian and Austrian coaches. The ladies event was won by Nuria PAU from Spain in a time of 1.38.40. A number of GBR athletes took place. The highest placed Hemel member was Aveline DEIGHTON finishing in 38th position. Our other 2 entries were Amber BUCKLAND who DNF Run 1 and Marie Curtis who was placed 22nd after Run 1 but unfortunately DNF Run 2. 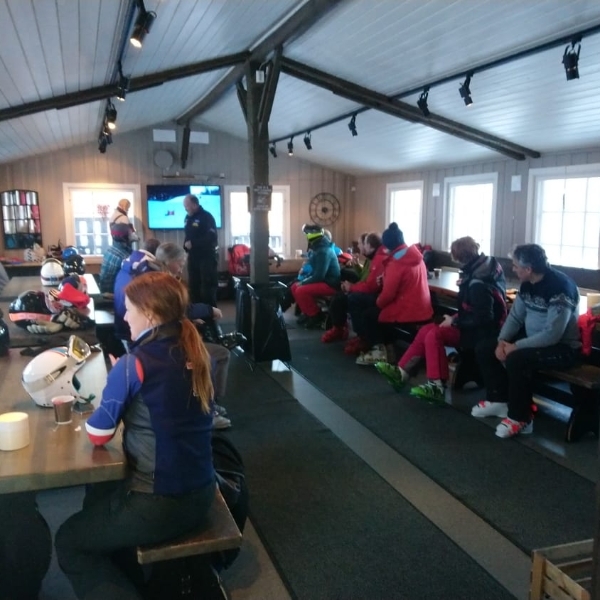 The Men’s event was also held on the STELLA ALPINA piste and this time the setters were tBR coaches, Richard Breese and Jo Ryding. Jo set 54/52 gates and Richard 56/54 gates. The competition was won by Japanese racer Ryo SUGAI in 1.39.33. Robert POTH was placed 2nd Brit and 31st overall. He was very closely followed by Kieran NORRIS in 32nd position, 0.35 seconds behind Rob. Max BAGGIO, who did not perform up to his ranking position, finished in 40th place. Oliver KRAHELSKI, in his second year of FIS racing, finished 43rd position and greatly reduced his FIS points. William WHEELER finished in 53rd place with a time of 1.47.64 and again got good FIS points. Oliver DEIGHTON was 62 .For this event John NORRIS was not the forerunner but an entrant and finished 68th.All the fore running paid off and John reduced his points by over 100. The U10/12 also raced today on the STELVIO piste in the Giant Slalom. 84 entrants took part in a two run event through the stubbies with the best time taken to find award winners. The girls and boys raced together down the same course set by Hemel Trainer Alex Reidy.It seems only yesterday that Alex was racing in this sort of competition. Alex set 31 gates with 30 turns. The event was won by Sienna Horton from SMK in a time of 53.89. The highest placed Hemel member was Toby CASE who had a time of 57.09 eventually finishing 13th. Matilde MAGENES finished 31st very closely followed by our latest new member, Nadine HUGEC in 39th. Dominic BARTON was 37th, Charlie NEWTON 41st and Angus LODER 53rd.Eleanor SCRANGE HARRISION had the same time as Angus and was placed joint 53rd. Other Hemel members were Hugo WARNER in 60th, Max FAIFULL 66th. Day 6 saw the FIS Super Giant Slalom. This is a speed event and the results were based on a single run down the STELVIO piste. The ladies went first. There were 33 gates, 31 of them turning and the course was set by Marc Telling of HEM and AMB. This is an event that is relatively difficult to practice so GBR only had 12 starters from a field of 45. Hemel had 2 competitors, both in their first year of FIS racing. Marie CURTIS finished35th and Amber Buckland DNF. The men then followed, this was a much bigger field with 93 on the start list. GBR this time had 25 entries. The overall winner was Ryo Sugai of Japan in a time of 1.13.02. The highest placed Brit was Hemel member Max BAGGIO who completed the course in 1.17.57 and finished in 32nd position. Luke RIDDELL, representing Ireland finished 57th very closely followed by Kieran NORRIS in 58th position. 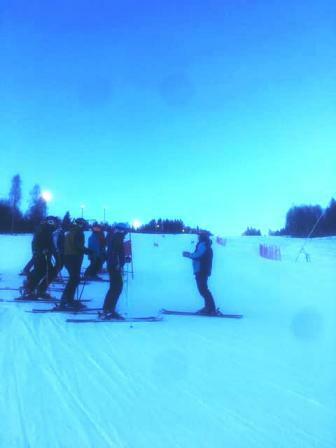 On the same day on the STELLA ALPINA piste the U14/16 Girls and Boys Slalom race was held. The U14 consisted of 2 races down different courses with both times combined to find the overall winners, however both races were seeded separately. The girls went first with Hemel Members featuring prominately in the overall results. The event was won by Alicja KRAHELSKI in 1st place followed by Shanna DANENBERGUSONS in 2nd. Caterina MAGENES finished in 5th place with Nicole SHEERING and Charlotte TAPSELL very closely behind in 8th and 9th.. Meghan DAVIS was 11th, Madeline BURNS 13th. Unfortunately Nicole Hugec and Sarah Woodward DNF one of the runs so were not placed overall. The U14 boys raced a course set by Viki Williams from GBR. She set 42 gates with 40 turns. Again Hemel performed well with Dexter LEE taking top podium in 1st place followed on the next step by Harry DEIGHTON in 2nd. They were separated by just under a second. Patrick CALDWELL, who has only just joined Hemel, finished 5th. Judson RABEY and William NEWTON battled side by side with Judson just beating William. They eventually finished 14th and 15th. Charlie HUMPHREYS finished in 24th. Charlie Leach DNF Run 1 with Richard Trew DNF Run 2. It was now the turn of the U16 to show their skills, this time the course, again on the ALPINA piste was set by Alistair Morton and Mark VINTER of GBR. 38/36 gates so less gates than the U14’s. Apparently the first course was “differant” and 27 0f the 68 on the start list DNF.. The weather was sunny and the snow reported as good, all the ingredients for an exciting race. There were a number of athletes from the GBR and English squads competing so the competition was strong. In the girls event Phoebe LONG finished on the podium in 3rd position and the only other Hemel finisher was Eleanor TREW in 12th. Many of the favourites to take the honours failed to finish one of the Runs. Yasmin Cooper had a storming Run 1 and was leading the field by 0.50 seconds, she unfortunately DNF Run 2 though. Anna Henderson and Hannah Cole DNF Run 1 whilst Issy Trew posted a good time for Run 1 was DSQ in Run 2. 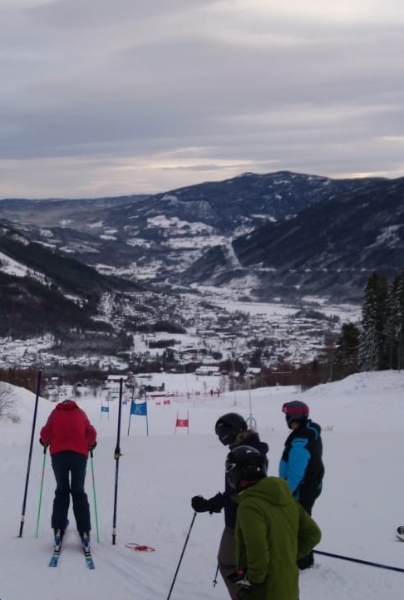 The U16 boys then took to the snow, the temperature had dropped slightly making the snow reported now as Firm. The same courses were used. Hemel again had a podium place with Josh PENNING LAMBERT taking 2nd place. He was the only Hemel member to complete both Runs. Harry Deighton, Daniel Barton and Edward Loder DNF Run 1. Today (Friday 21 February) was the final race of the very successful English Alpine Championships 2014. Congratulations to ALL the Hemel Members that competed in the events. Our apologies if we have missed anyone of the reports we have posted. Today was the FIS Ladies and Men Giant Slalom. The female race was held on the STELLA ALPINA piste. The female courses were set by Marc Telling (35 gates, 33 turns) and Slovakian Coach Jan DEBELJAK. He also set 35/33 gates. The ladies competed first. The weather was once again Sunny and the Snow Firm, a fitting end to the Champs. The overall winner was a Slovakian, Nina ZNIDAR winning in a time of 1.54.57 seconds. The highest placed Heml member was Amber BUCKLAND who finished 48th. Avelline DEIGHTON was 53rd.Marie Curtis DNF Run 1. The men competed on the STELVIO piste, the weather still sunny but the snow assessed this time as Soft. The courses were set by an Austrian and Finnish Coaches. 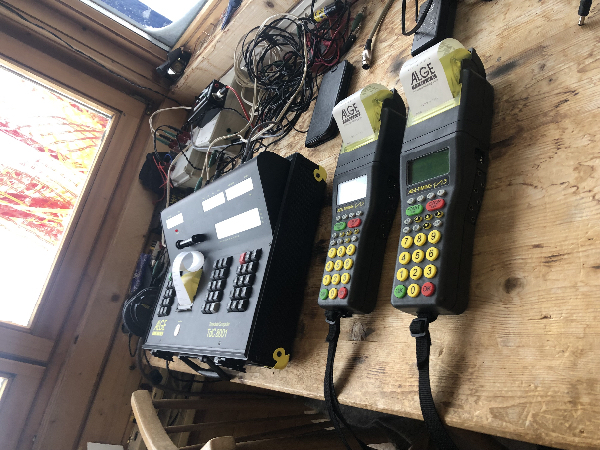 The first course was set fast with 33/32 gates whereas the Austrian course was much turnier with 37/35 gates. A big entry of 117 racers saw some very good racing. The winner Matteo CONFORTOLA from Italy finished in 1.46.38 seconds. Max BAGGIO continued to have a good championship and finished 26th overall and 2nd Brit. Kierran NORRIS was 40th, Luke RIDDELL 45th. Robert POTH had a good second run and finished 48th overall. Oliver DEIGHTON was 71st and dad of Kieran, John NORRIS finished 76th. 12 racers DNF Run 1 whereas in the much turnier Run 2, 29 were either DSQ or DNF. Unfortunately Will Wheeler and Oliver Krahelski were 2 of those many.